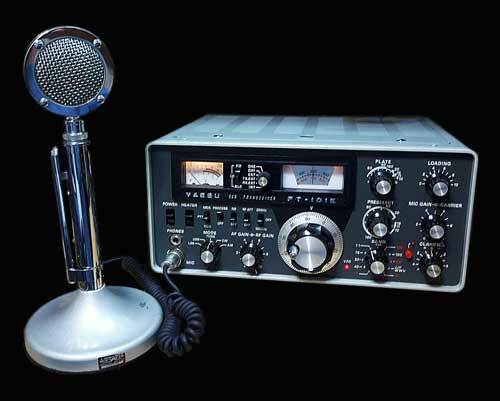 to the left is pictured my Yaesu FT-101E which I snagged at the August 2011 JSARS hamfest. I had gone to the 'fest with thoughts of grabbing a Wouxun Dual Band HT. I saw the HTs there but decided to hold off until I saw if there was anything else of interest at the fest and I'm glad I did. The next next thing I spotted was the FT-101E only a few feet away from the HTs. I've always wanted one of these rigs and the price was right. 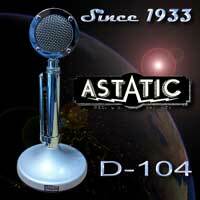 It came with a D-104 microphonium, spare tubes, relays and manual. It's a beautiful, heavy rig that looks and performs great! It was fully functional with just a few minor bugs which were easily taken care of. I'm getting much more enjoyment from this rig than I would've ever gotten from a Chinese HT. 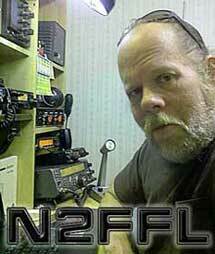 I didn't really need an HT anyway as I already have a Yaesu VX-5 which I rarely use these days. According to the serial number the rig is a later model build in the late '70s. THIS EQUIPMENT CONTAINS HIGH VOLTAGE THAT CAN SERIOUSLY INJURE OR KILL YOU! PLEASE WORK SAFELY! The rig came with a 12 VDC fan installed on the rear. 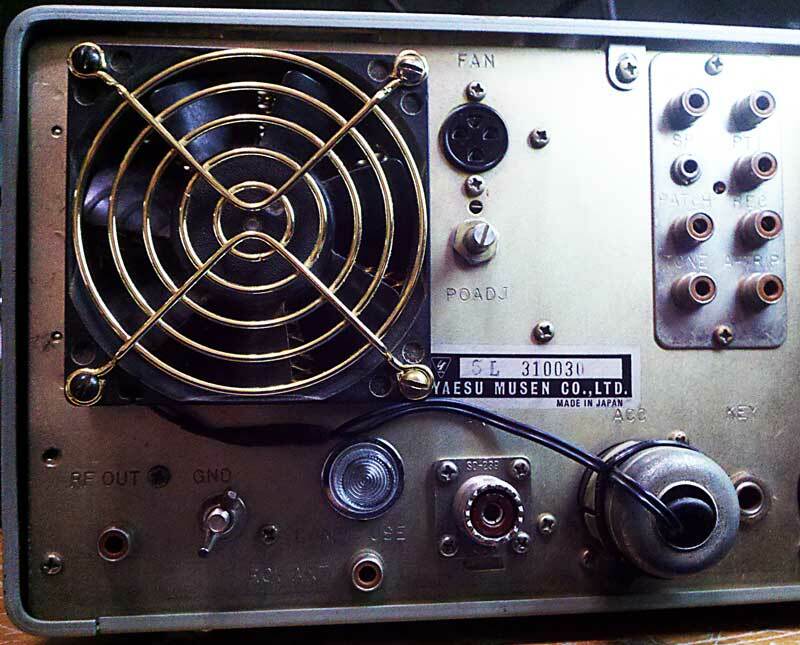 This not the fan from Yaesu, the Yaesu fan is 120 VAC and plugs in to a socket on the rear panel. The fan that came on the rig had been connected to the 13.5 VDC UNREGULATED supply inside the rig and the wiring had been routed through the final output compartment and out through the RF Out jack. As the 13.5 VDC supply in the rig is unregulated adding any other loads to it will pull the voltage down, in this case by at little over half a volt. I found a 75 ohm resistor in series with the negative lead of the fan which slowed its speed. The fan also slowed down even more during transmit. I removed the wiring from inside the rig and constructed the little circuit shown to the right in the ACC of the rig to power the fan. In this configuration the fan will only run when the heater swith is on. 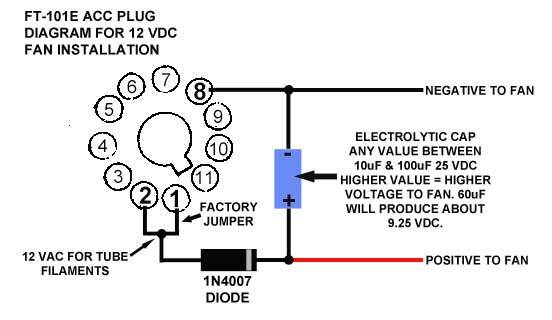 This simple circuit takes voltage from the 12 VAC filament supply. I used 2 caps in parallel for 57uf which delivers 9.25 VDC to the fan. The fan runs much faster, is still quiet and doesn't slow down when transmitting. The fan was originally installed to blow into the rig. I turned it around so it now pulls from the rig. It keeps the rig nice and cool even during frequent long transmisssions. This fan installation can be done witout removing the covers from the rig. I discovered that the small bulb behind the front bezel was burned out and the bulb above the S meter was much brighter than the bulb behind the VFO dial. This is because the two bulbs were not the same (as they should have been). I was going to just replace the bulbs but decided on installing LEDs instead. A quick trip to radio Shack and I had what I needed. I used their Rectangular High-Brightness Blue LED Lamp. To use LEDs you need current limiting resistors on each one. I used 560 ohm resistors because thats what I had in on hand (calculated value for the LEDs I used was 490 ohms). To calculate the needed resistor value you need (all LEDs are not the same) and an explanation of LEDs go here. The LEDs were connected to the original wiring for the old bulbs and held in place with some extremely sticky double sided tape and wire ties. Removing the bulbs and installing the LEDs brought the 13.5 VDC supply up from 12.75 VDC right up to the 13.5 volts specified in the schematic. As the S meter bulb was much brighter than the VFO bulb I suspect this was the wrong bulb and drawing more current than the proper bulb would have. I used four LEDs for this project. While I had the rig open to install the LEDs I also installed the 1000uf electrolytic capacitor as recommended in the service manual (mainly because I have a few 1000uf caps in the junk box). According to the manual this cures a hum problem seen in some later model units. I didn't notice a hum problem in mine though. The manual also recommends wiring the front panal lamps to the 12 volt filament supply at the heater switch. As I installed LEDs in place of the regular bulbs I didn't do this. A short time after the above mods were done I did the audio mods as outlined HERE on The AM Window. The mods seem to work well with my modded D-104. 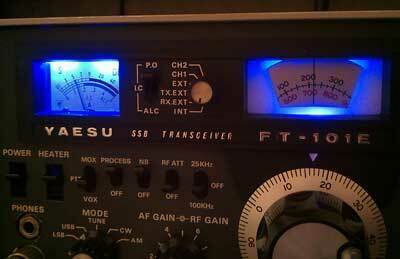 I was really pleased with the enhanced low end freq response of the receiver. 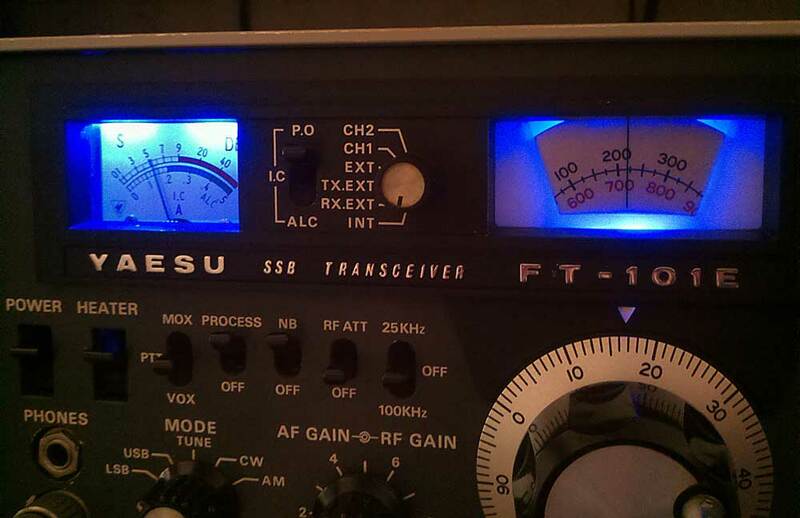 I've also been told that this one of the best sounding FT-101Es that have been heard on the air. 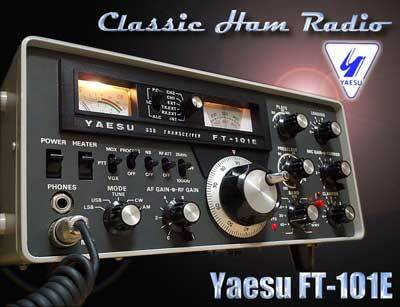 Yaesu FT-101 For Sale - find Yaesu FT-101 ham radios for sale here.